Sarah: I’ve been doing lots of writing lately, and it’s making me happy! 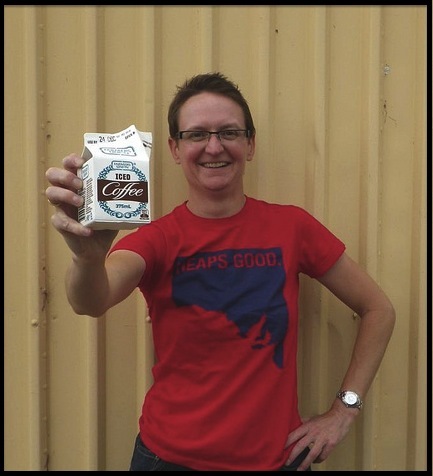 Kirsti: In Cairns recently for a conference on social insects, I visited my Honours supervisor Jamie Seymour – the guy I’ve previously talked about as being a big influence in my science life. In his past life Jamie was an entomologist, using integrated pest management strategies to increase food production and efficiency. But now he’s a toxicologist, conducting research on some of the most deadly animals in the world. It’s really cool. And he has a really cool aquarium where he studies box jelly fish and other nasties that could stop a fabulous tropical paradise holiday in its tracks. Jamie’s been doing a series with SmarterEveryDay, the YouTube channel with ultra awesome science stuff on it, and there are some really interesting clips, including one on milking stone fish! Seriously. You have GOT to watch this! (you seriously do, it’s way wicked – Sarah) It shows the hypodermic-needle-like spine of a stone fish shooting out deadly venom as some rubber exerts pressure on it (simulating a foot or other unfortunate body part). 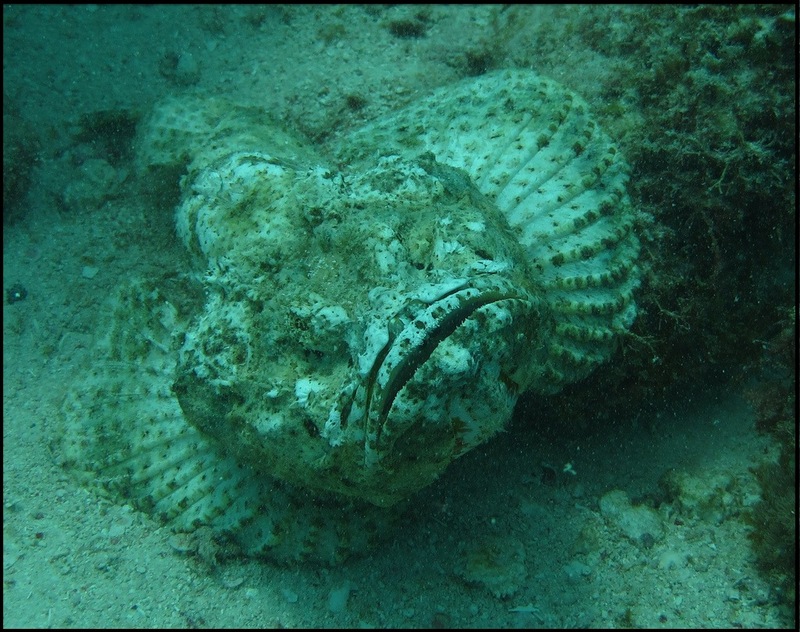 Apparently there are about 1000 victims of stone fish spine impalement in Australia every year. Footwear isn’t always an effective barrier! There are blue ringed octopuses, sea horses, a leopard shark they raised from an egg, wobbegongs, white tip reef sharks and more. It’s fascinating stuff, deadly animals! 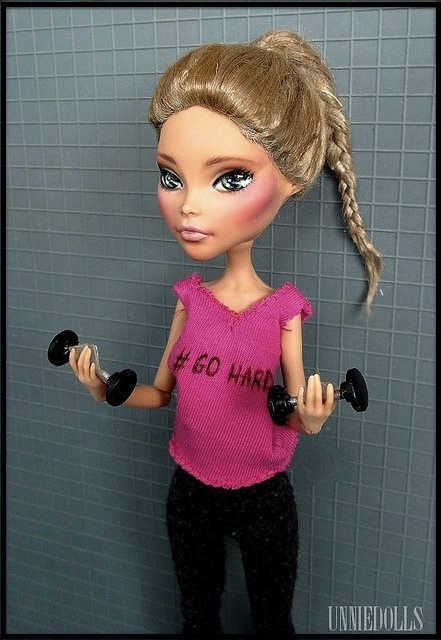 Sarah: There’s a woman at my gym who shocks and horrifies and fascinates me all at once. I used to admire her. Back then, her body was lean and muscular, in great shape. I used to challenge myself to match her strength and speed in cycling classes. I’d see her move from one session directly to the next, whilst I’d stagger out to recover with a latte, before facing the kids at home. Then I had a break from the gym. When I came back, she had shrunken. Now, her limbs look twig-like, fragile. Now, I can see all the individual muscle groups in her thighs and upper arms. Having studied anatomy, I’m reminded of the cadavar dissections we used to do. Her bike shorts are falling off her. Even with the padded seat, there’s barely any bulk at all in her rear end. Whilst I’m in a singlet right from the get-go, she retains 3 layers – including a puffer jacket – until 3/4 of the way through the class. I’ve been through phases in my life when I was firmly committed to slimming down a bit, and getting fitter. I understand that feeling of taking control and striving for better health and appearance. Hell, after three babies there’s a lot of firming up which can be done. Having said that, it’s not even my business. She doesn’t know me. And I don’t know if she eats or not. I don’t know if she is miserable or not. I don’t know if she wants help or not. But I do know that when she enters the room, every pair of eyes is watching. Watching to see if she’s ok.
Sarah: Kirsti and I went totes bushranger this school holidays. Under the pseudonyms Blood Thirsty Kirsty and Saltrock Sarah, and accompanied by miscellaneous children and other family members, we explored Uralla in New South Wales. 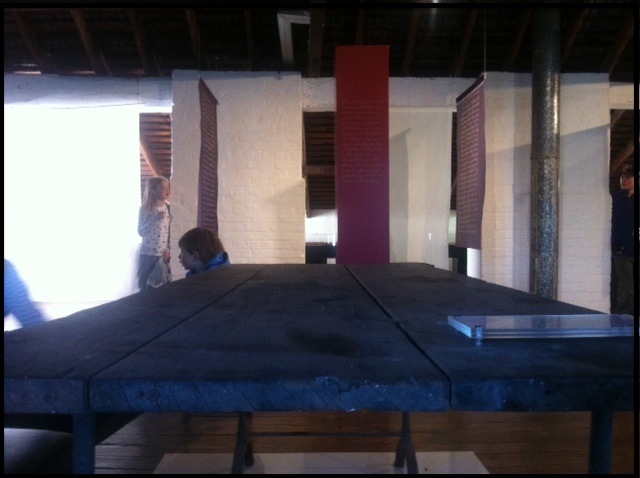 Uralla is the home of the famed bushranger Captain Thunderbolt; the image above shows the table on which his body was displayed after being shot dead by a local policeman. Now everyone loves a good bushranger story. But Kirsti and I were also very interested to learn about Thunderbolt’s partner Mary Ann Bugg. Some reports suggest that Mary Ann was the brains behind Thunderbolt’s success, as she planned, scoped, read and wrote on her man’s behalf. It’s a theme scientists are already familiar with – woman plods away in the background, then man comes along and performs a daring exciting final move and gets all the credit. Perhaps I’m being a little cranky, but we all know the story of Rosalind Franklin. And there are more cases of a similar nature. We can’t change history, but let’s bring a few more ladies forward and get them robbing stage coaches, huh? There’s a bit of mongrel bushranger in all of us, regardless of gender.